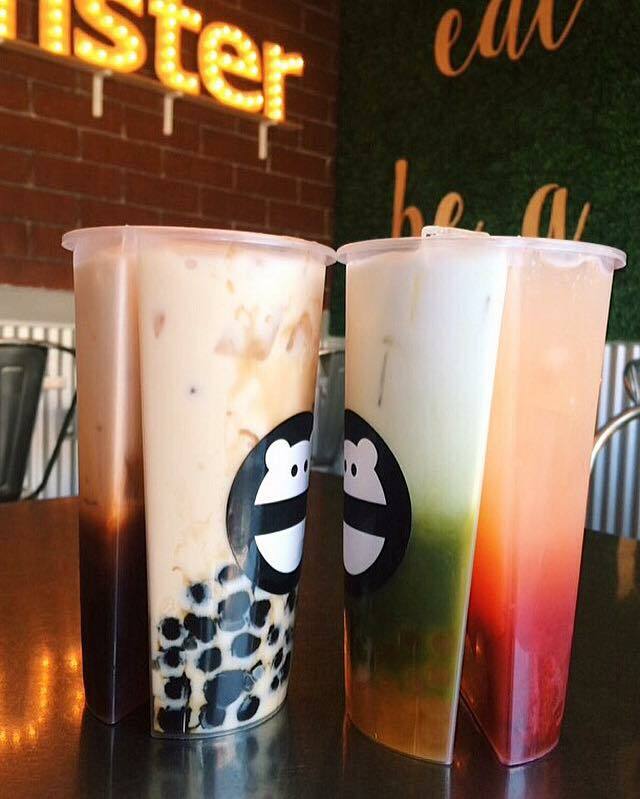 1 CUP 2 DRINKS: SNOW MONSTER WILL SOON SERVE DRINKS FOR THE INDECISIVE - EAT WITH HOP! YOU KNOW WHEN YOU'RE STARING AT THE MENU AND YOU CAN'T DECIDE BETWEEN TWO DRINKS? BUT IT'S SO PAINFUL TO ONLY CHOOSE ONE? WELL, SNOW MONSTER IS GOING TO SOLVE THAT PROBLEM! I've seen these type of cups before floating around the internet. Unfortunately, the origins seem to be somewhere from Asia like Thailand or Hong Kong or something. I don't know. But as soon as I saw it online, I thought... why doesn't someone serve drinks in these cups here??? It would totally solve the issue of when you can't decide on what drink to get and wanna try two different drinks. Or 4. Or 6. Luckily, we have Snow Monster who totally knows what's up. Snow Monster is always rolling out new things and I'm glad they are going to serve drinks in these kinda cups! Snow Monster recently announced on their social media that their stores will serve these up soon. I am excited for it!